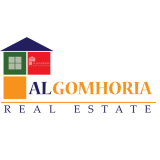 ALGOMHORIA offers its clients the widest range of property marketing tools to match you and your property’s needs.Through 49 years of real estate experience, our large database and our team of highly trained and capable sales agents. for through its database of commercial property listings and its staff. Our Name ALGOMHORIA has become equal to only one meaning, The leadership in our field.